Vast, empty and starkly beautiful, Wyoming’s wildernesses are exceptional. The north west corner of the state is where you’ll find the bubbling, living legend that is Yellowstone National Park and the great peaks of the Grand Teton National Park. Plus the skiable peaks and bowls of Jackson Hole. Much of the rest of Wyoming is ranch land and this is about as close as you’ll get to frontier country these days. 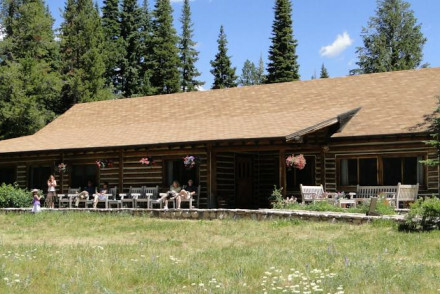 If you’re here to see the national parks then Jackson is probably one of the best places to stay in Wyoming, but if you’re looking for a real escape from everything then some of the best places to stay in Wyoming for you will also be some of American’s most remote properties. Yellowstone is why most people come to Wyoming, America’s first national park and a dramatic volcanic landscape of geysers, boiling mud ponds and warm, bright blue lakes at some of the highest elevations on the planet, and all atop a supervolcano. Yellowstone is also home to some of America’s most impressive beasts: grizzly bears, the quarterbacks of the bison world, wolf packs, black bears, buffalo, elk, pronghorn and eagles. The Grand Tetons are just to the south, and have jagged, snowy peaks, alpine forests and glaciers, inhabited by bears, moose, grouse and marmot. Another good base for getting up close and personal with the great outdoors is Saratoga. Famous for its hot springs, it's also a destination for keen fishermen, watersports and a whole raft of adventure sports. Chic Jackson, the adventure sports playground and outpost of the old west, is a lively place known for its celebrity second homes and cultural life way beyond its population. Its Centre for Arts attracts big names, there’s a wonderful Museum of Wildlife Art, and a huge selection of restaurants. But of course you’ll be there for the adventure sports and the views. Ski, climb, hike, bike, kayak, ride horses, go rafting, it’s all here and more. Cheyenne is the state capital, best known for its huge rodeo and country music. If you’re here for the wild west experience then Cody - named after Buffalo Bill Cody, its founder - and Buffalo, are the places you’ll want to visit. Both cities stage amazing wild west shows, with Cody between the Bighorn Mountains and Yellowstone, and Buffalo, with its historic buildings, closer to the Bighorn Mountains. Casper has the museums and art galleries, Laramie is the state’s university town, at the foot of the Medicine Bow Mountains, with a pretty, historic downtown, and Lander is great for outdoors-folk, with its rock climbing and mountaineering opportunities. 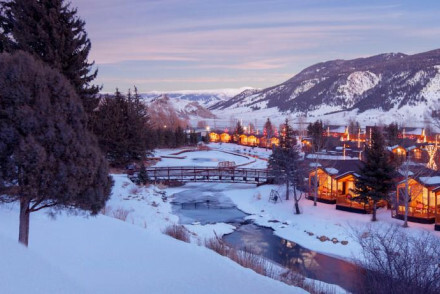 Whether you're here for a wild west experience or a spot of hiking or skiing, don't forget that the best places to stay in Wyoming are very popular year round.....so do yourself a favour and book early. The Rustic Inn just outside of Jackson Hole is a collection of 150+ boutique cabins and rooms surrounded by 12 acres of lush gardens. Designed to be hip, but also relaxing, the Rustic Inn is known for its elaborate breakfasts and cosy cabins. Jenny Lake Lodge in Moose, in the Grand Teton National Park is a collection of rustic cottages with stunning mountain views. They do a five course dinner and there’s a well stocked bar to revive you after your days out in the wilderness. 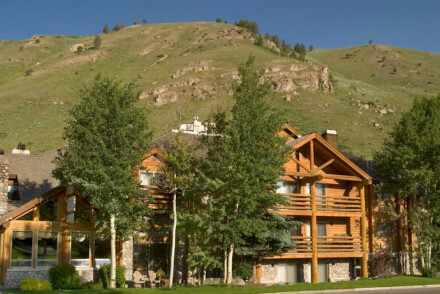 The Lodge and Spa at Brush Creek Ranch in Saratoga is close to some of Wyoming’s best fly fishing, but this all inclusive lodge and spa offers a lot more - there’s riding, hiking, climbing, kayaking and more. The rooms are large and comfortable and the food and wine is good. The Hotel Terra in Teton Village is right at the foot of the mountains, so perfect for snow thrill-seekers and those who love a spectacular view. You’re in the heart of the great outdoors, but it’s a big enough hotel to offer every comfort. Amangani is just outside Jackson and overlooks the valley of Jackson Hole. Each of the 40 rooms has an amazing view, a welcoming fireplace and a private balcony. There are two pools, a library, a spa and a bar and restaurant. 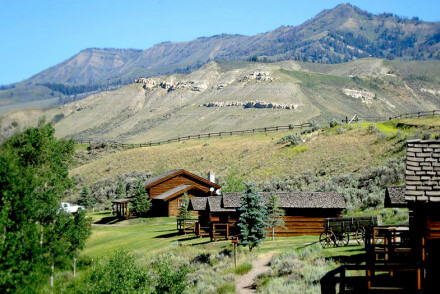 The Goosewing Ranch is a working ranch with breathtaking views of the Tetons. Accommodation is in cosy cabins with private porches, and there’s also a pool and spa and themed meals in the main lodge. 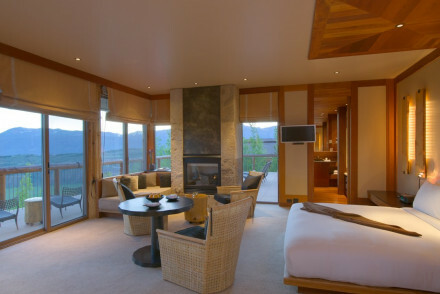 The Rusty Parrot Lodge and Spa in Jackson Hole is a luxury lodge and spa with mountain views. It’s got a great restaurant and offers plenty to do come sun or snow. 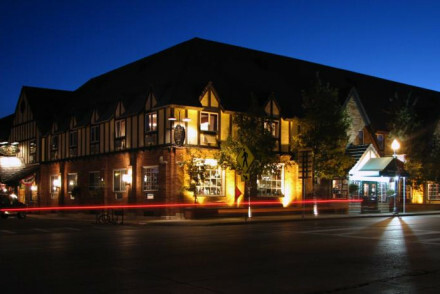 Also in Jackson Hole, The Wort is a luxurious hotel with 59 large, comfortable rooms and a well known bar and grill. The Tudor revival meets rustic decor is something a bit special, and this property is ideal for couples. 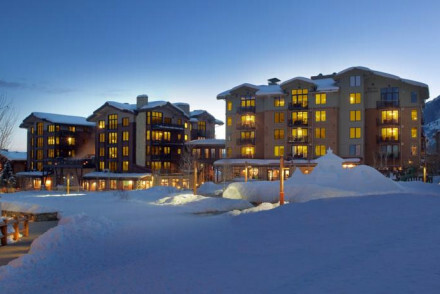 The Four Seasons Resort Jackson Hole in Teton Village enjoys spectacular mountain views. These 124 rooms are five star and there’s every comfort laid on, and some unexpected ones - like stargazing from private balconies. Still not sure? Browse through our list of all the best places to stay in Wyoming, or contact one of our friendly Gurus for advice. This working ranch has breathtaking views, outdoor pool and spa treatments. Cosy cabins overlooking ranch and river are comfortable, with private porch. Meals are in the Main Lodge, with dinner being themed-Rib night to French night. The perfect activity-centric getaway for family and friends. Fishing - The Gros Ventre River is home to the native cutthroat trout - fly fishing in a peaceful and stunning spot. 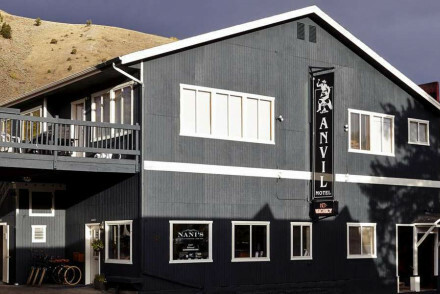 Anvil Hotel is located in Jackson, 10 minutes from Grand Teton National Park. The property provides chic accommodation with a classic feel with plenty of muted tones as well as a mixture of wooden and metal features. Scrumptious meals served in the the Glorietta restaurant. A quaint rural retreat! Sights nearby - Be sure to enjoy a ride on the Bridger Gondola or Teewinot Chairlift and enjoy the wonderful views! 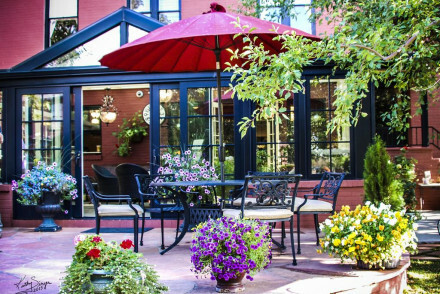 A friendly and charming inn, right in the heart of Cody, Wyoming. Choose from a room, suite, garden cottage or studio apartment- each individually decorated with thoughtful touches such as silk sheets and fresh flowers. With lovely communal areas and an excellent bar you really feel looked after. Outdoor enthusiasts will love this boutique set in 12 acres of lush garden. Cabins offer a cosy, comfortable base for summer and winter activities with stunning views. Breakfast is an elaborate affair, and casual dinner is a great way to unwind with a glass of wine. Idyllic, comfortable relaxation. Tudor revival with rustic interiors, this luxury hotel offers comfort, convenience and adventure. Large, comfortable rooms with bathroom and mod-cons. Silver Dollar Bar and Grill is popular in town and serves local game and produce. Steps away from the historic town and the mountains - perfect spot! Fishing - Fly fishing is brilliant in the region in the summer months. This luxury lodge has a spa, spectacular mountain views and prime location for nature. The large, comfortable rooms come with modern bathrooms. Wild Sage is renowned in the region for its local ingredients and flavours, enjoyed with an extensive bar selection. Snow or sun-ideal stay for activities. Kayaking - Great way to pass a summer afternoon in Jackson Hole. Back to Nature - Beautiful setting. Rustic cottages resting in Grand Teton National Park, stunning mountain views, private porches and activities galore. Five course dinner on site and a well-stocked bar. After a day out in the wilderness, whether on lake, river or mountain there is much to do and see. Exploring for all the family. Fishing - Guided fishing at Jackson Lake or fly fishing on Snake River. Sights nearby - Go the stunning marina for boat life. Back to Nature - In the thick of it. Thrill-seekers, spa goers and nature lovers rest assured that this luxury hotel at the foot of the majestic Tetons is a fantastic find. Modern rooms showcase stunning views, have access to outdoor pool, business and fitness centres. Dining options from casual to fine, or explore nightlife in town. Great walks - Explore Yellowstone National Park in the winter months and come across frozen waterfalls and lakes, steaming geysers and pools. Nature is a playground and when matched with luxury, gourmet food and activities you are truly in for a 5* stay. Large, comfortable rooms offer stunning mountain views, evening stargazing from private balconies is a must! Dining options are plenty, or hit the bar after a day of activities. Fishing - Summer months see people head out with fishing rods, flies and bait. 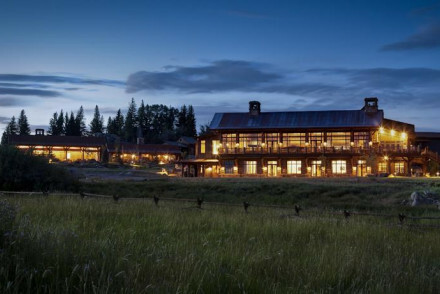 This luxury hotel overlooks Jackson Hole. Room with a view, welcoming fireplace, private balcony, slate bathrooms and all finished off with a touch of Asian minimalism. The Grill restaurant offers organic Western dishes, Zinc-Top Bar for drinks. 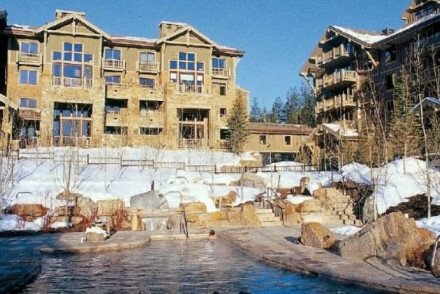 Two pools, library and the best skiing in the Rockies! Spa - Offering deep tissue massage or Himalayan salt scrub. Fishing - Snake River for trout fishing. All inclusive lodge and spa in breathtaking surroundings and an activity filled stay. Large, comfortable rooms with modern bathrooms and countryside views. The Trailhead Great Room serves up an array of dishes and a brilliant wine list. Between riding, hiking, climbing and more - activities for all! Fishing - Brush Creek Ranch is home to some of the best fly fishing in Wyoming.